Serbia is more rural than I had expected. After spending a couple days in Belgrade, our group of bloggers on a press trip with Serbia Tourism split in half. 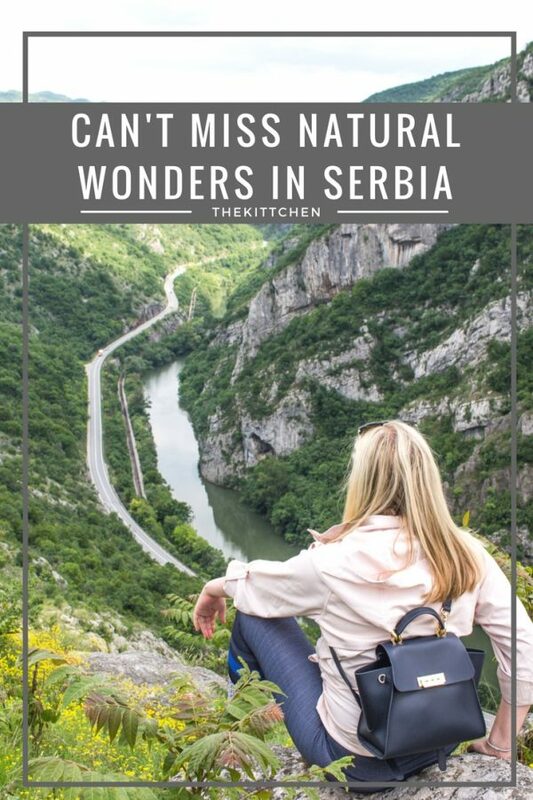 I got to explore Eastern Serbia’s natural wonders with Olivia and Rebecca (two of the nicest girls in the world). 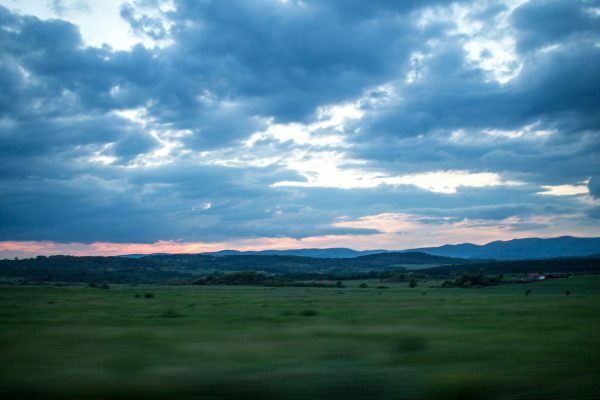 When we drove out to Eastern Serbia we found ourselves driving through rolling hills covered with bright green grass and trees, with a few farms scattered around. 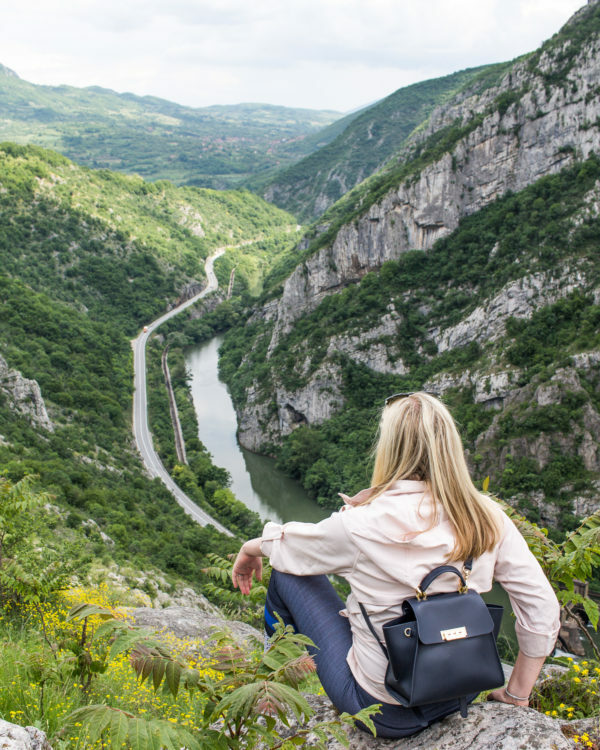 We made our way to the Iron Gates, a series of three gorges on the Danube River that serve as a natural boundary between Serbia and Romania. 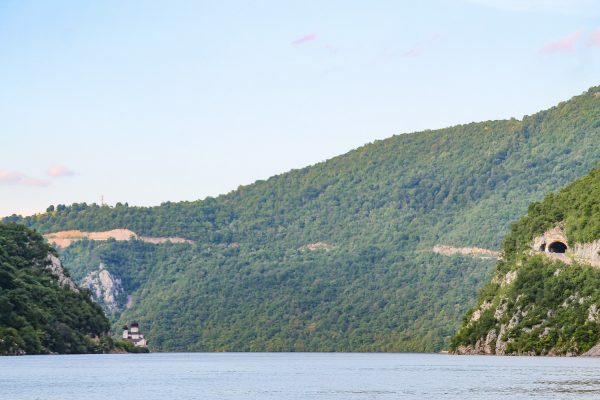 We took a boat ride through one of the gorges, and it was a highlight of the trip. I know that you might be reading this and be thinking that a gorge doesn’t sound very cool. That is what I had thought. I was glad that I underestimated the gorges because I was completely surprised and in awe of their beauty, the area looks like something out of a storybook. It is so stunningly beautiful that I am surprised that I haven’t heard of more people visiting the area. 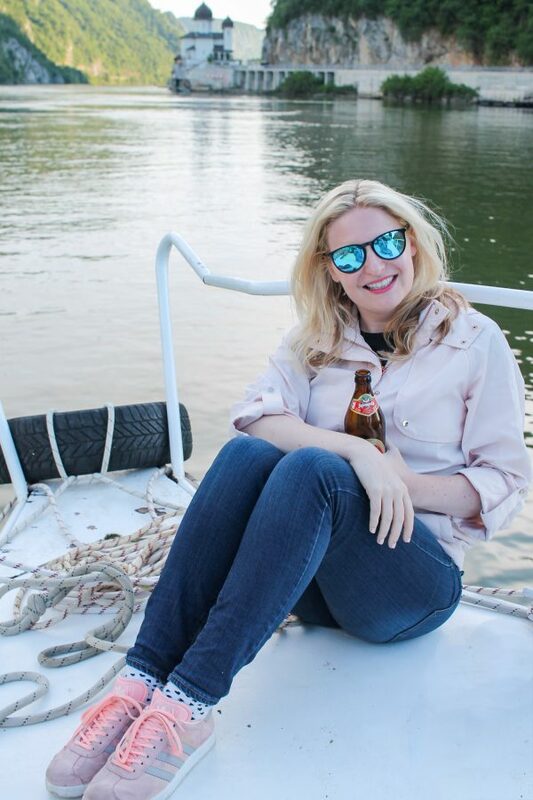 We didn’t see any other boats on the water, and the way that the river sits between two rocky hillsides made it feel like we were completely surrounded by nature. 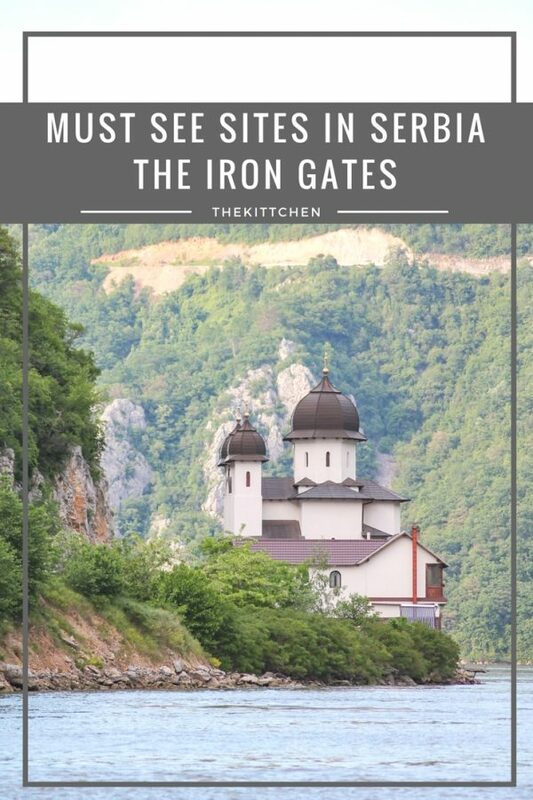 Some parts of the Iron Gates are very narrow and Serbia and Romania are separated by just 1km of water. Within the section of the Iron Gates that we visited, there are three important sites. 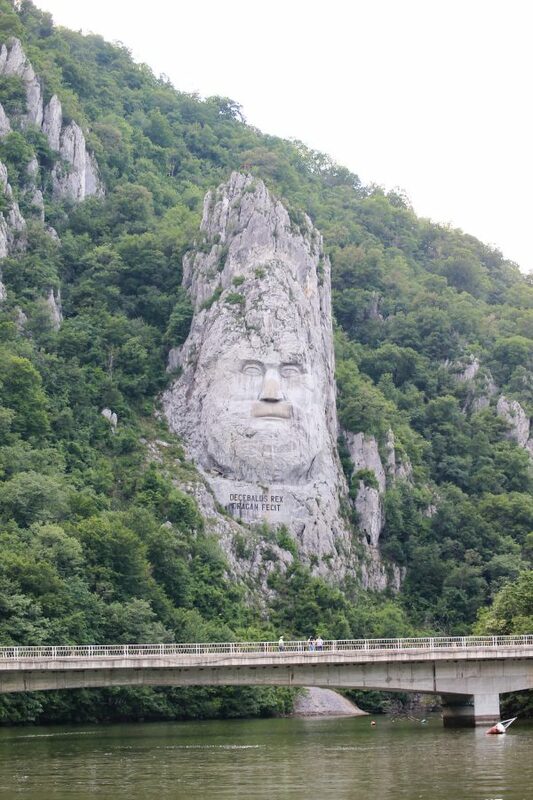 The first site within the Iron Gates is a rock sculpture of Decebalus, that I swear looks just like my brother. Decebalus was the last king of Dacia, who fought Trajan to try and maintain the independence of his kingdom. The massive sculpture is modern, it was built between 1994 and 2004 and was funded by a Romanian businessman. The goal was to draw attention to Dacia and mark Romania’s place as one of the early civilizations that predated the Roman Empire. 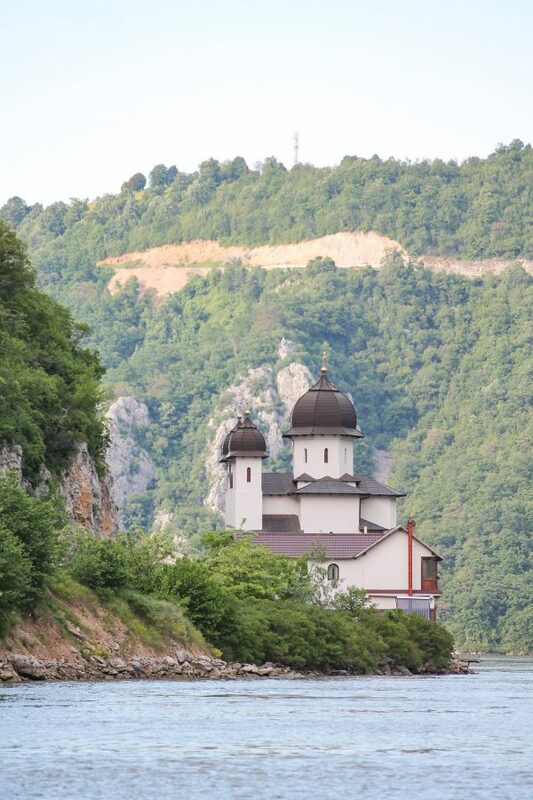 The second is the Mracuna Monastery is one of the landmarks along the Romanian side of the Danube. The current monastery was built in modern times, the original monastery dates back to 1453, but was destroyed. The third site is Trajan’s Plaque (Tabula Traiana), the plaque dates back to 103 AD, the time when Trajan (the Emperor of Rome) began building roads connecting present-day Serbia and Romania (which were part of the Roman Empire at the time). The next day we made a stop to see the ruins of Trajan’s bridge. 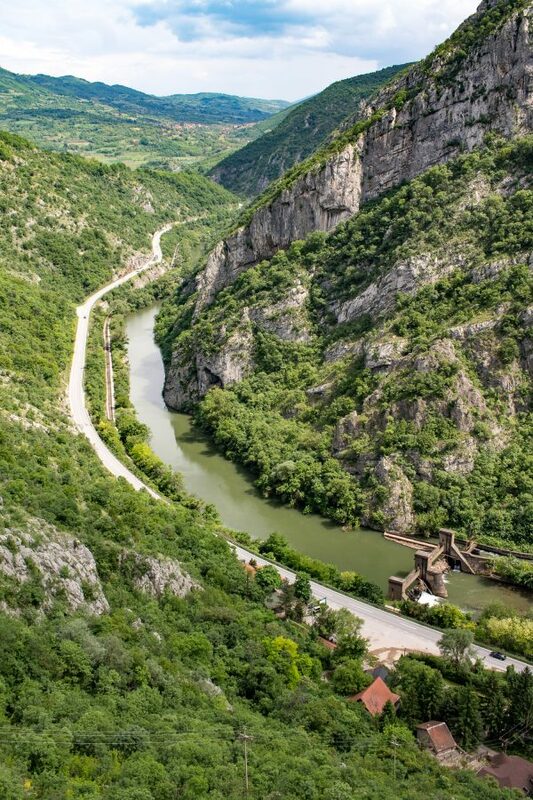 Trajan’s bridge was built over the Danube to connect present-day Serbia and Romania and it was an engineering accomplishment that was way ahead of its time. 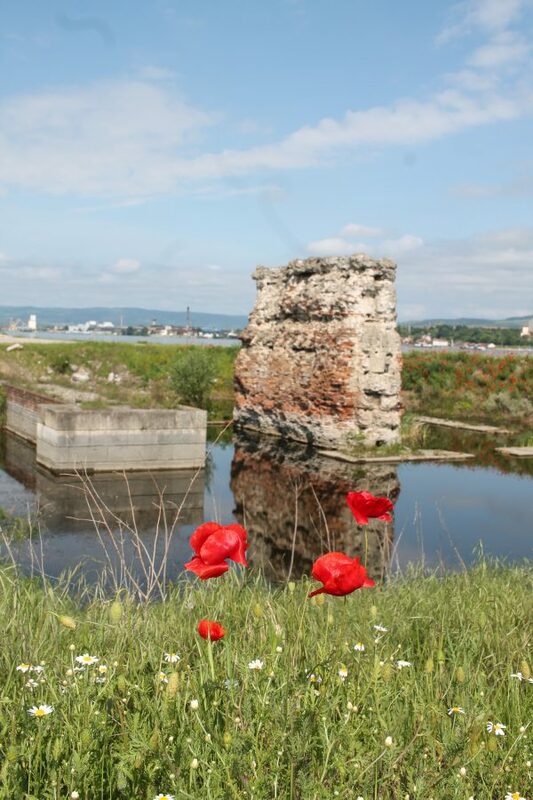 The bridge was only functioning for a few decades – they say that part of the bridge was destroyed to prevent barbarians from invading the Roman Empire. Trajan’s Bridge was so ahead of its time that it was the longest arch bridge in the world for 1,000 years. One thing that helped put Trajan in context was remembering seeing Trajan’s Column in Rome (if you have been to Rome you have probably seen it). Trajan’s Column commemorated winning the Dacian Wars – this war was how Serbia (and other parts of the Balkans) became a part of the Roman Empire. The following morning we began our day with a hike in Soko Banja that took us up a steep hill to a fortress overlooking the town below. 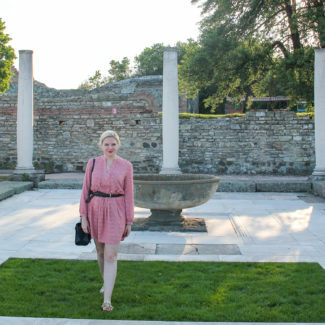 There are so many ruins in Serbia that some of them aren’t really formal tourist sights with tickets, you just get to explore them. 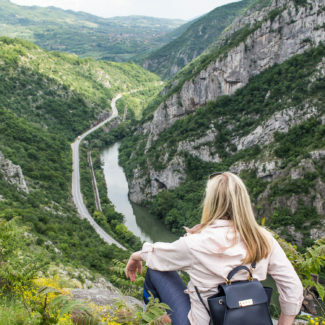 Later that day we made a stop at a stunning viewpoint overlooking Sicevo Gorge. We loved that it was so easy to get to the viewpoint. We just had a walk across the field! 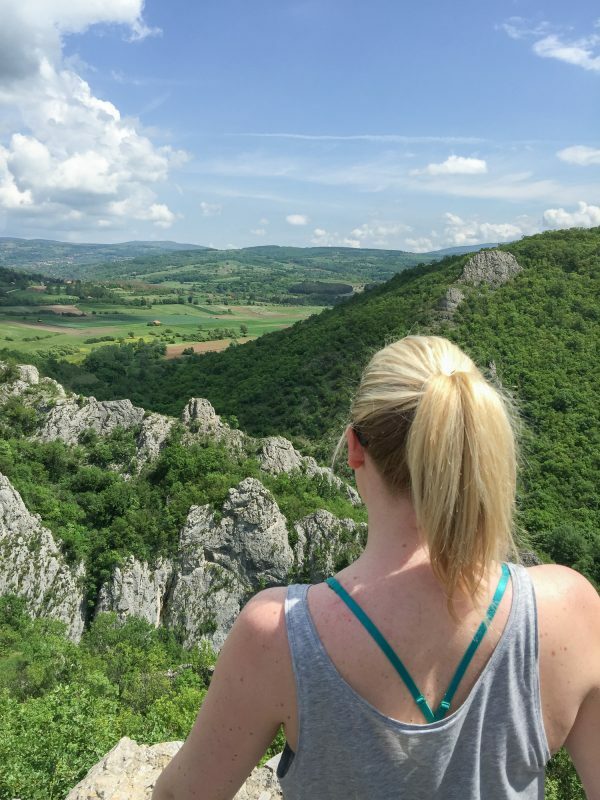 Considering how challenging the Soko Banja hike was, we were relieved! We ended the day with by rappelling down a rock at Jelasnicka Gorge. This was just one of many active adventures in the Nis area. 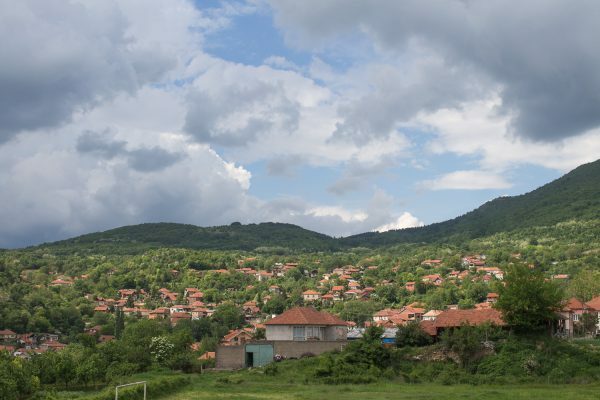 Mountain Running, Off Road Jeep Safaris, Rafting, Diving, Shooting, Hunting, Fishing, Horseback Riding, and Caving adventures are all offered through the City of Nis Adventures. 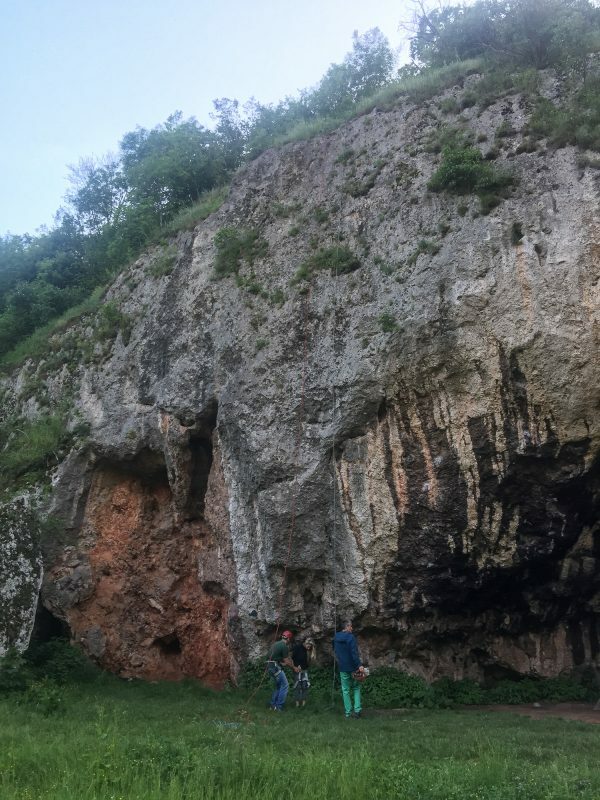 I was pleasantly surprised by Eastern Serbia’s natural beauty. 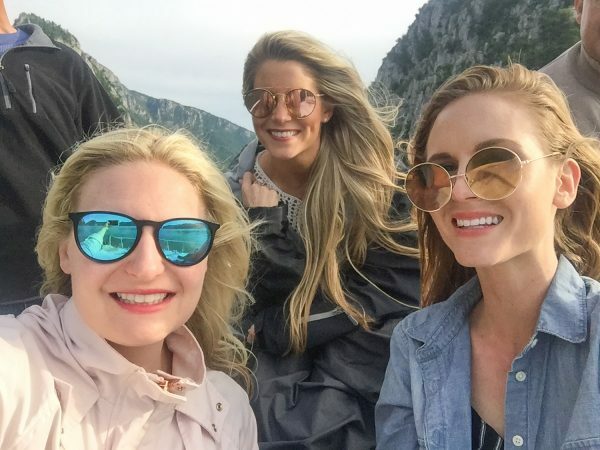 I loved that hiking, boating, and rock climbing were included in our itinerary. 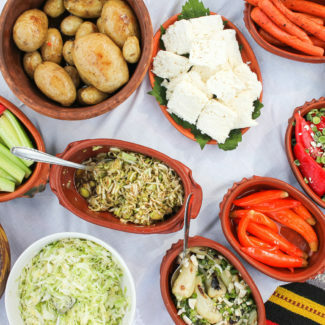 The physical activity was somewhat necessary since every meal in Serbia seems to be a feast! 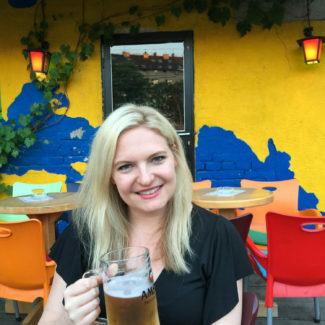 I partnered with Serbia Tourism for this series of blog posts.